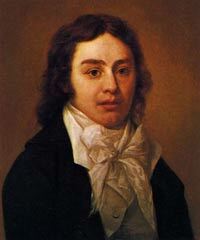 Samuel Taylor Coleridge was influential in the founding and development of English Romantic poetry. Despite suffering from mood swings and an opium addiction, Coleridge produced some memorable poetry and was also a noted literary critic. 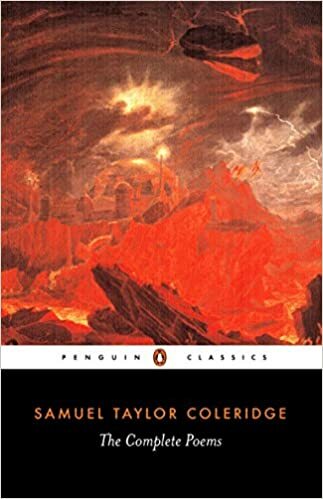 Samuel Taylor Coleridge was born in Ottery St. Mary, Devon in 1772. His father was a local vicar who was already 53 when Samuel was born; his father later died when Coleridge was just six years old. As a child, he was withdrawn but loved reading. He later recounted how much he enjoyed reading books such as Robinson Crusoe, and Arabian Nights. After the death of his father, he went to Christ’s Hospital school in London, where he developed a love for the classic Greek poets and the two English immortals, Shakespeare and Milton. 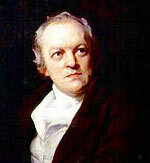 In 1791, he went to Jesus College, Cambridge University. Here his poetry was first recognised, winning the Browne Gold medal for an ode on the slave trade. Halfway through his degree, he quit college to join the Royal Dragoons, but this proved a failure; he couldn’t cope with military life, and with the aid of his brother was discharged on the grounds of insanity. He returned to Jesus College, though he never completed his degree. It was in Cambridge that he met poet and radical Robert Southey; the political opinions of Southey left an impression on Coleridge, who was interested in political thought throughout his life. Like many young students of his generation, he was initially inspired by the ideals of the French revolution, though he later became disenchanted. At one time, Coleridge and Southey planned to set up a utopian community in Bristol, but this plan never materialised. In 1795 he married Sara Fricker, but he never really loved her – marrying more out of social convention. After an unhappy marriage, they separated though they did have a daughter. After drifting away from his own wife, he later fell in love with Sara Hutchinson, the sister of Wordsworth’s future wife. The relative success of this publication led Coleridge to receive an annual payment of £150 from the two Wedgewood brothers. This enabled him to devote more time to writing and poetry. Yet, though he could offer imaginative and ground-breaking writing, he was also increasingly hampered by his opium addiction. Suffering from neuralgic and rheumatic pains, he was prescribed copious amounts of opium as a pain reliever; this almost inevitably led to addiction and increased mental disturbance. Though some poems were said to have been imagined in an opium-induced dream (like Kubla Khan) his opium consumption harmed his well being and seriously damaged his friendship with William Wordsworth. His Opium addiction also made him depressed; parts of Kubla Khan sound autobiographical. In 1817, his addiction was domineering his life, so he sought the help of physician James Gillman. Gillman took Coleridge into his own household and for the remainder of his life, Coleridge live at his residence – 3 The Grove, Highgate, London. From this period, he rarely ventured out and continued to write prose, such as his Biographia Literaria (1817), poetry and also more theological and politico-sociological works. He remained an icon for budding writers and poets, especially those interested in his brand of romantic poetry such as Thomas Carlyle and Lord Byron. 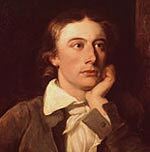 Famous Poets – The great poets, including William Blake, P. Shelley, William Wordsworth and J. Keats.